As the daughter of a painter, creativity was an integral and normal part of Baxter's childhood. A love of the natural world was formed and nurtured by family holidays in a remote loch-side cottage in the West Highlands. After studying tapestry at Edinburgh College of Art and Warsaw Academy of Fine Arts during the 1970s, she spent eight years working as a weaver and trainer in commercial tapestry studios in the UK and Australia, notably working on the Henry Moore tapestries at West Dean Tapestry Studio. 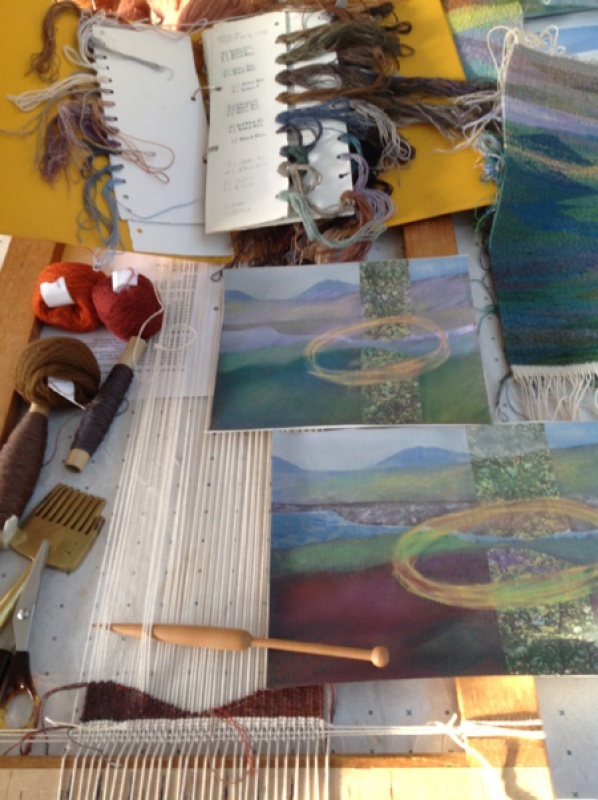 She has been an independent tapestry artist since 1987, working to commission and exhibiting widely. She has had solo exhibitions in the UK and Denmark and participated in many group exhibitions around the world. Amongst her many commissioned works are pieces for churches, corporate and private clients. Committed to raising critical awareness and passing on skills, Baxter is an inspirational lecturer and teacher as well as being active in various artist-led groups. Well known for her critical writing on tapestry, she contributes regularly to national and international journals. Baxter moved to the far north of Scotland in 2000 to the place that has always inspired so much of her output. This marked a new chapter in her personal work, with her tapestries reflecting her closer relationship and deeper understanding of the landscape. Although continuing to weave tapestries in the narrative style that she is known for, she also makes more experimental pieces alongside them. Her imagery has become more abstract, the interpretation more deliberately weaverly, and the materials more varied. This has resulted in a collection of work that pushes boundaries but does not compromise the beauty and expressive power of the traditional tapestry form.